The Bounty Hunter Family is host to a number of breathtaking travel experiences all over the world, from Uruguay and Argentina, to France and Italy, to the heart of the American Wine industry in Napa, California. 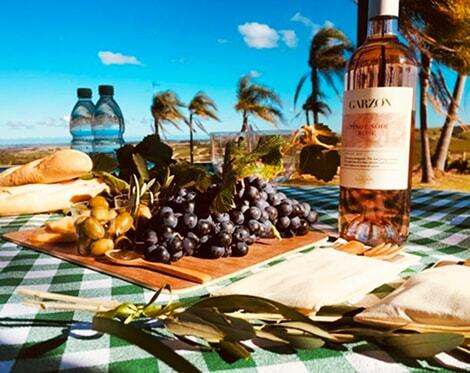 In Uruguay, Bodega Garzón’s experiences are specially designed to allow you to explore winemaking, vineyards, and the olive oil production Garzón has come to be known for, all while enjoying breathtaking views, fine wines, and personalized attention throughout your stay. You’ll also enjoy the Bodega Garzón Restaurant, situated atop a brook where you’ll enjoy traditional local cuisine and exclusive Uruguayan wines in our dining room that overlooks mountain vistas or al fresco on one of our many terraces. If your travels take you to Tuscany, you’ll be welcomed at Dievole, a quintessential Tuscan experience ripe with ways to enjoy the rolling estate. 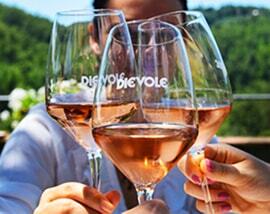 Dievole is wrapped in a magical atmosphere. The rolling Tuscan hills, the cypresses, the vineyards and olive groves stretching as far as the eye can see, the hidden hamlets and magnificent medieval buildings dominate the landscape. Our hospitality is offered in the historic Villa and several farmhouses. In all, Villa Dievole offers 27 suites, apartments and double rooms in five farmhouses. 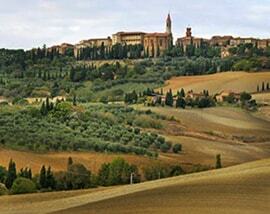 They have all been remodeled in Tuscan style and enhanced with all the modern comforts. The complex also includes a gourmet restaurant, a bar & lounge, two panoramic swimming pools and a playground for kids! And of course, if you’re stateside, and the wine life is calling you, Bounty Hunter is located in the heart of downtown Napa, surrounded by endless vineyard experiences just waiting to be discovered. To further explore our international travel experiences, learn about hospitality options, and book your next taste adventure, click here. And to learn more about our experiences right here in California, check out our Food Experience and Restaurant pages.